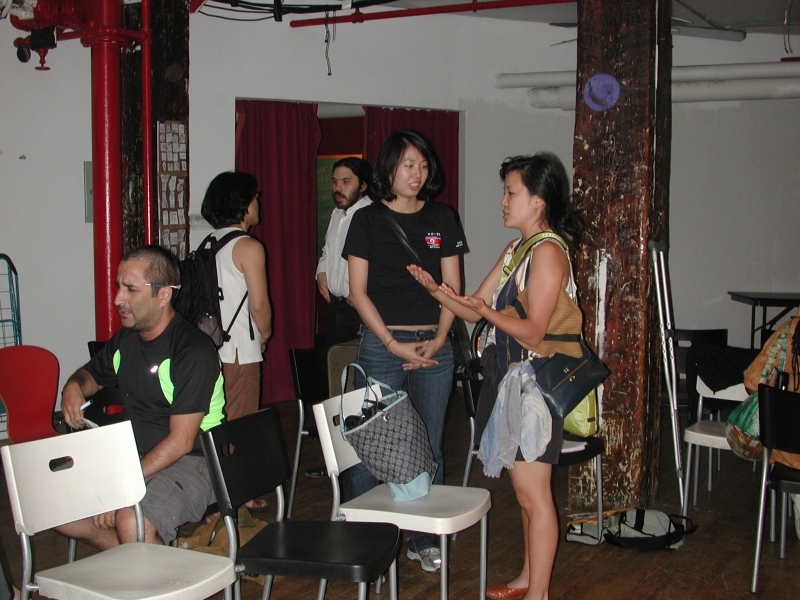 On Friday, August 12th, TradeJustice NY Metro organized a lobby training and issue briefing on the South Korea, Panama, and Colombia Free Trade Agreements at the Brecht Forum. About 18 people attended, including representatives of Global Justice for Animals and the Environment, Health Global Access Project (Health GAP), New York Committee in Solidarity with the People of El Salvador (NY CISPES), Nodutol For Korean Community Development, and WHYHunger. Sukjong Hong of Nodutol facilitated the training, which began with Amnesty International's lobby training video, "Raise the Roof." Following the lobby training video, participants watched "Trading Our Future", a segment from MSNBC's "The Dylan Ratigan Show" exposing the danger the Bush/Obama FTAs pose to employment and the economy. Following the videos, Sukjong elaborated on the dangers of the Korea-US FTA and Julian Monroy briefly presented the arguments against the US-Colombia FTA, explaining which legislators they believed would be responsive to particular arguments. Adam Weissman of Global Justice for Animals and the Environment explained the impacts of the Panama FTA and addressed the impact of all three FTAs on the the environment and animals. Ceci King of WhyHunger discussed the arguments against free trade agreements from a food justice perspective. Beatriz Lopez of Public Citizen's Global Trade Watch, participating remotely by speaker phone, gave a rundown of how legislators in the New York metropolitan area intended to vote on the FTAs and what arguments she believed would be most effective in swaying their votes. Armed with this information, participants broke into groups by Congressional district to practice lobbying and plan visits with their elected officials.